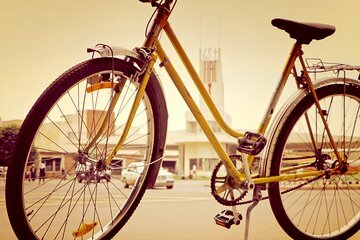 Explore the city of Asmara on a bicycle during this half-day cycling tour. With a guide in the lead providing navigation, you simply pedal along and take in the sights, including hidden gems you may not ordinarily find on your own. Highlights include the San Francisco Church, the Fiat Tagliero station, the National Museum of Eritrea, and others. In-depth commentary on the city's history, culture, and modern-life leaves you with a fuller understanding of the city's character.